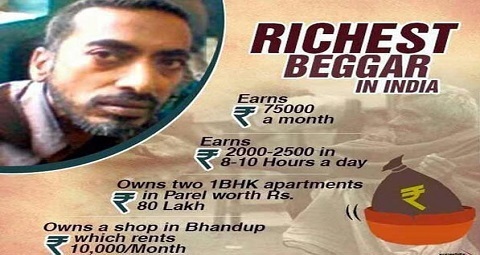 Richest Beggar in India : As per the reports Begging is a 200 cr industry in India. 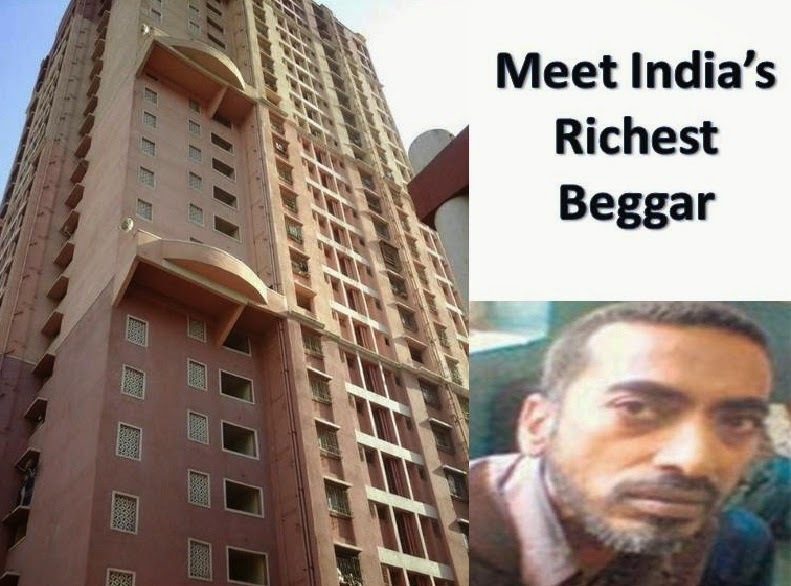 Normally readers want to know the richest man in the world or richest man in india e.t.c, But this time you have to know the Richest Beggar in india because he earns more than your salary. Once you check his monthly income report and his assets you will be raised your eye brows. Check the details of his income and his assets e.t.c. in below article. Bharat Jain is the richest beggar in india. He is around 49 years old. Normally he seems to be begging at Chhatrapati Shivaji Terminus or Azad Maidan. His daily earnings are around 2000 – 2500 per day in just 8 – 10 hours per day. Which is a whooping amount of Rs. 75000/- per month. Bharat Jain is the owner of two 1 BHK apartments in parel which is around 80 lakhs. In addition to his flats he has rented out a shop to a juice center at Bhandup and he collects Rs. 10000/- as monthly rent. Bharat Jain got married and has two sons who are studying in class X and class XII. He lives with his father, wife, brother and two sons at his Parel flats. His Family runs a business regarding study material and school notebooks.